VanVan Izakaya at 1333 Robson Street in Vancouver. 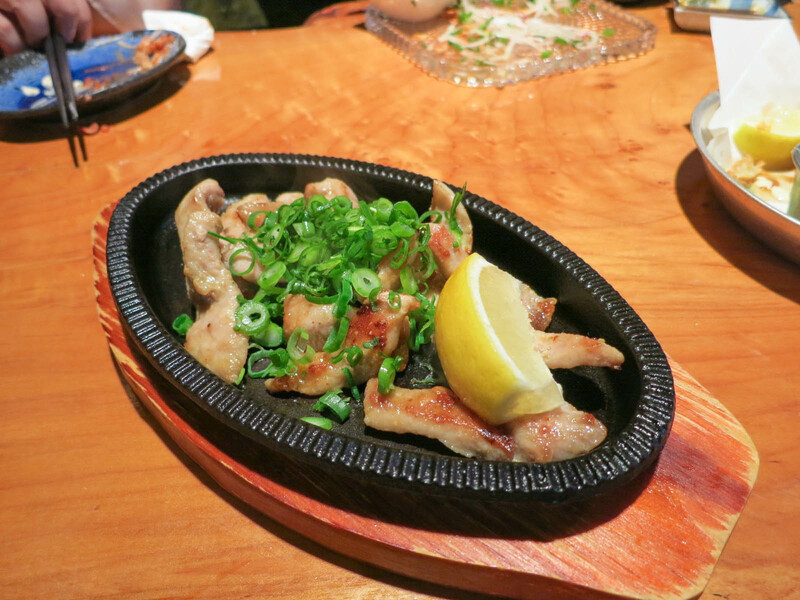 Japanese izakaya style small dishes. Cozy, dark, traditional Japanese decor. 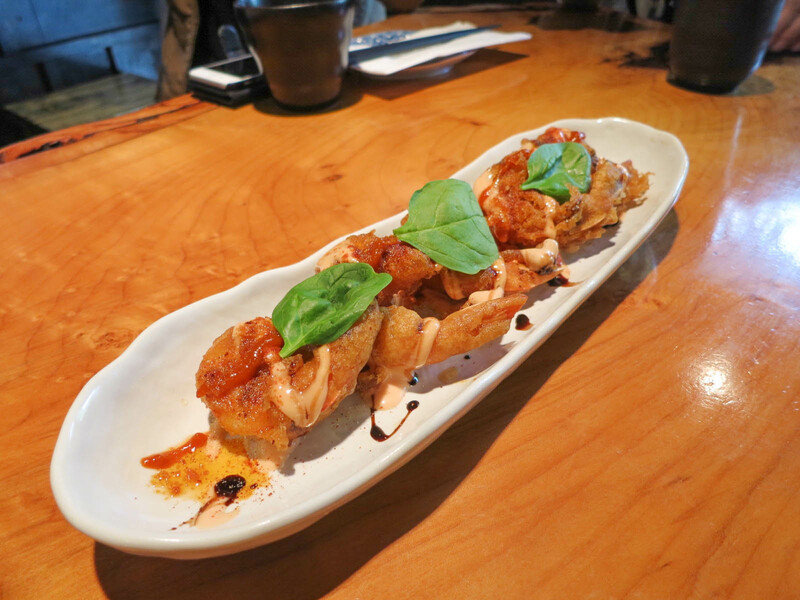 Ebi mayo is one of the dishes they I always order to judge an izakaya and I enjoyed VanVan’s version. The prawns were lightly battered and not greasy at all. I’m not the biggest fan of grilled squid because the texture is too rubbery for me and I find it lacking in flavour, however, this version was quite good. I liked that the teriyaki sauce gave it some flavour and honestly anything dipped in mayo is going to taste delicious. 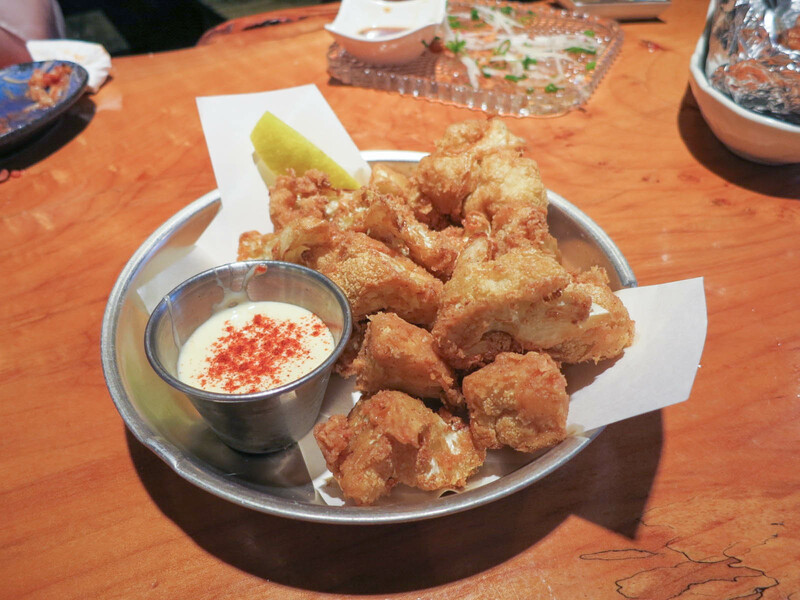 The sweet and sour sauce was more sweet than anything, but I liked it in combination with the tartar sauce. Unfortunately someone else at the table found something hard in the middle of her scallop, which was a bit of a turn off. I surprisingly really liked the Italian style one. It was like a more quirky version of eggplant parmesan. 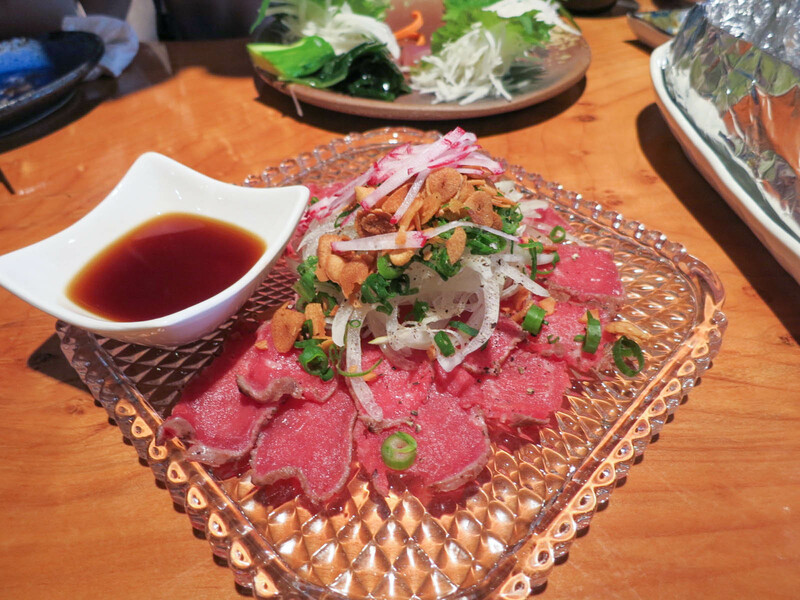 The beef tataki had the perfect light sear. 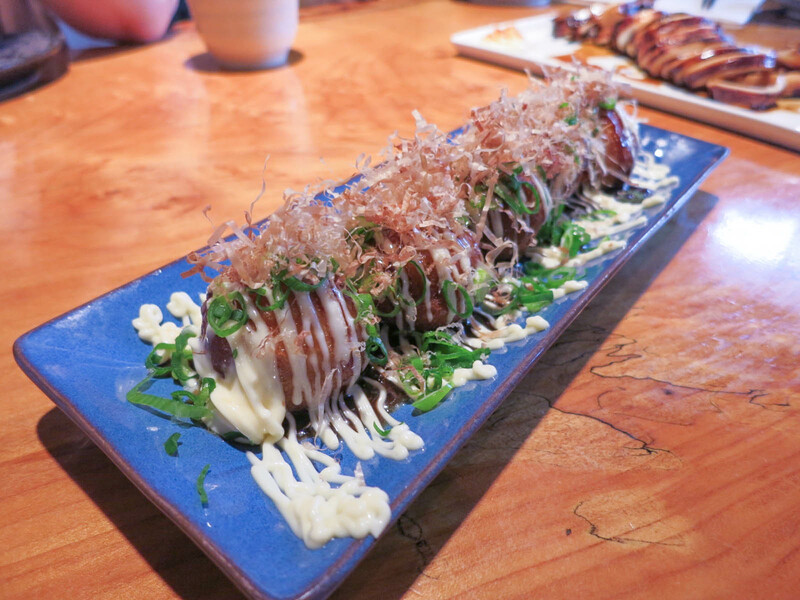 This dish is a standard at izakayas and VanVan pulled it off well. 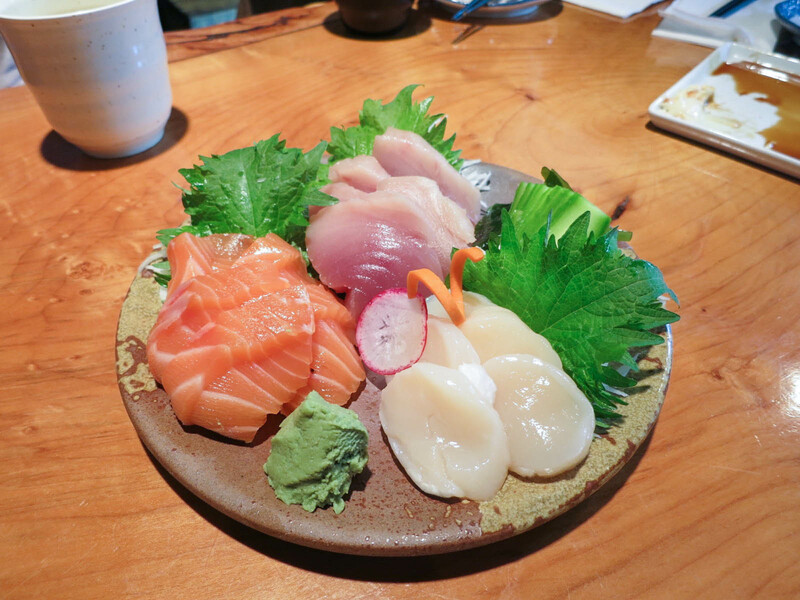 VanVan offers a change from all of the other chain izakayas in the area and more competitive pricing. Some of the dishes were just okay, but they had a lot of fun and creative menu items that you can’t find elsewhere.